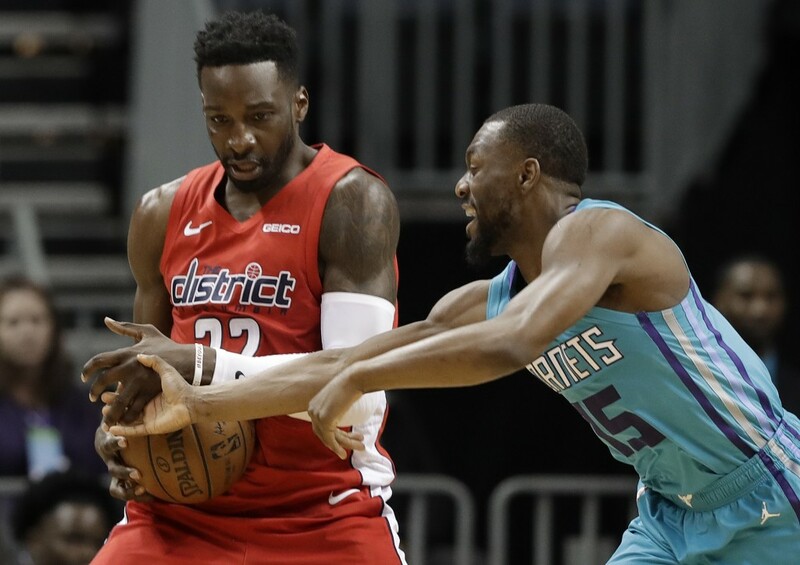 CHARLOTTE, N.C. (AP) — Kemba Walker had 27 points and 11 assists in his first outing since the All-Star game, Nic Batum added 20 points in his first game this season at shooting guard and the Charlotte Hornets defeated the Washington Wizards 123-110 on Friday night. 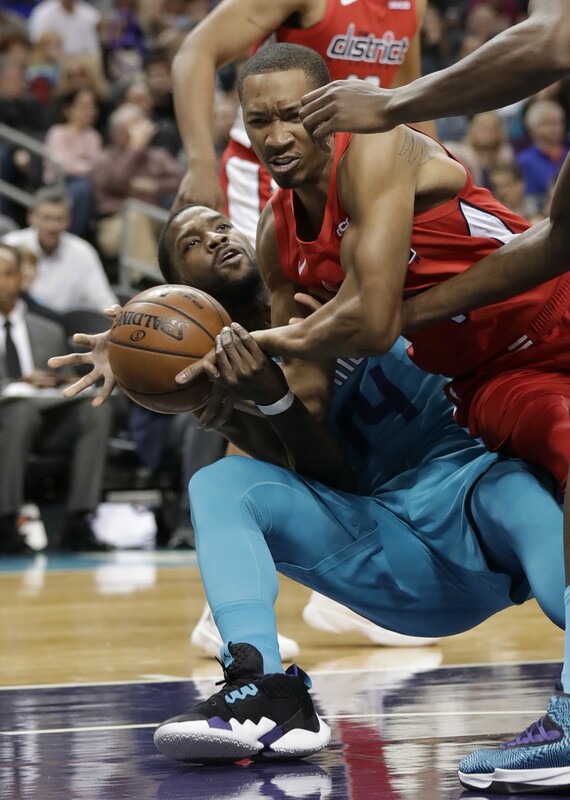 The Hornets overcame a season-high 46 points from Washington's Bradley Beal to improve to 20-9 at home. 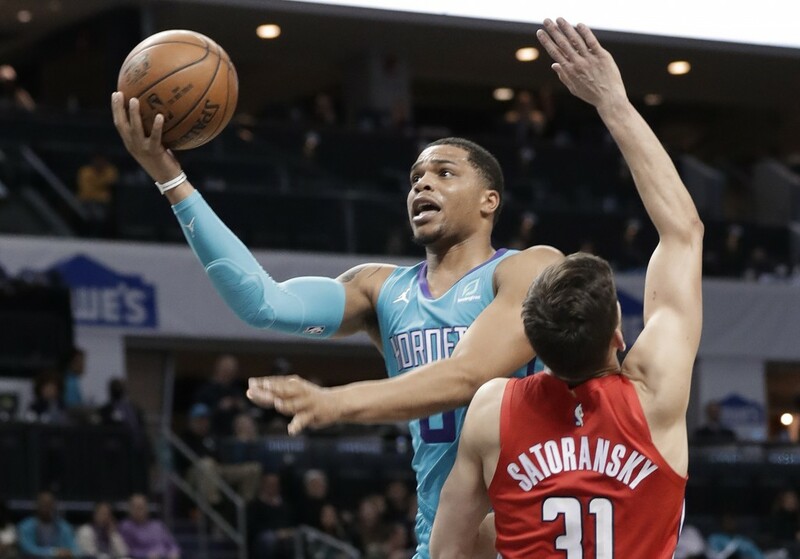 Hornets coach James Borrego moved Batum to shooting guard, opting to replace Jeremy Lamb in the starting lineup with rookie small forward Miles Bridges. Lamb had started all 54 games he was healthy for this season before the All-Star break. It's the first time Borrego has deviated from the starting lineup for a reason other than an injury. 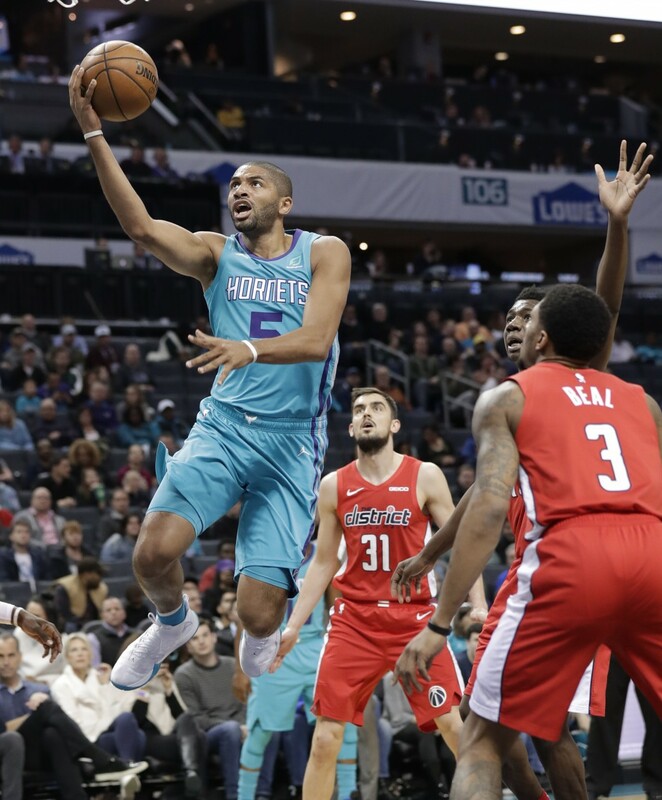 The move paid dividends as Batum was 7 of 13 from the field with five 3-pointers and eight rebounds. Bridges finished with 14 points on 6 of 9 shooting. Lamb wasn't bad in the sixth-man role either, scoring 16 points to hand the Wizards their sixth loss in the last eight games. Batum came into the game averaging 9.3 points this season. 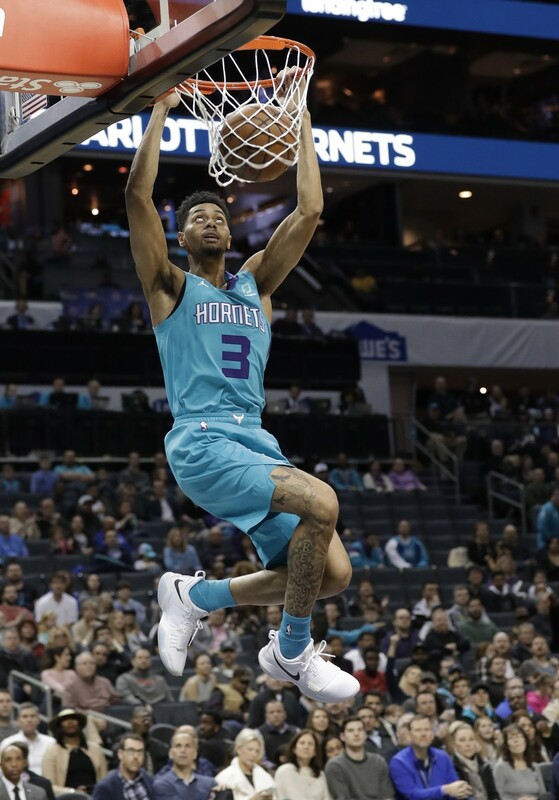 He had 17 by halftime, including four 3-pointers, and helped the Hornets outscore the Wizards 38-22 in the second quarter. He mostly played the role of facilitator in the second half. 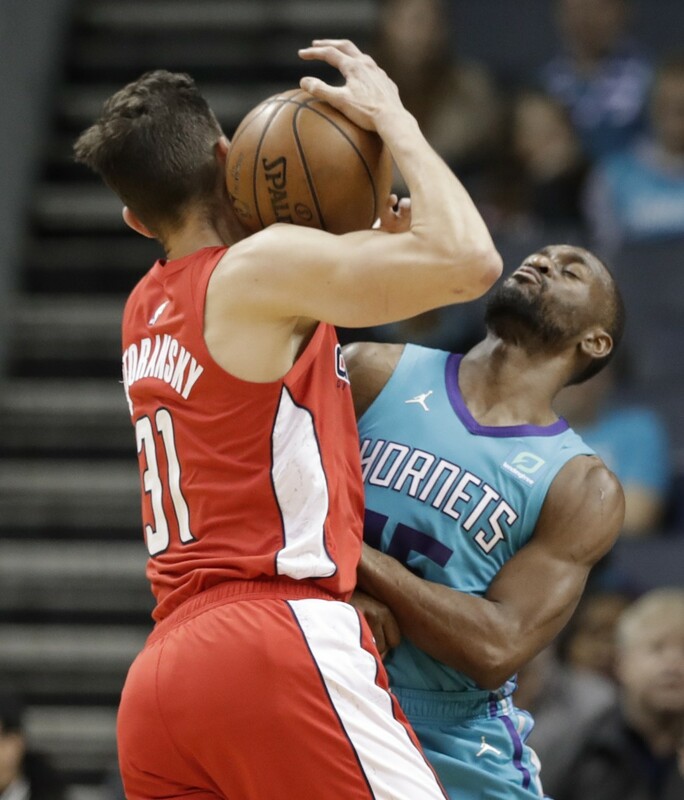 The Hornets led by five entering the fourth quarter, but Walker hit two 3s and Cody Zeller made four free throws to push the lead to double digits. Bridges put the final touches to the victory with a one-handed slam in the final two minutes. Charlotte took control of the game in the third quarter behind defense. 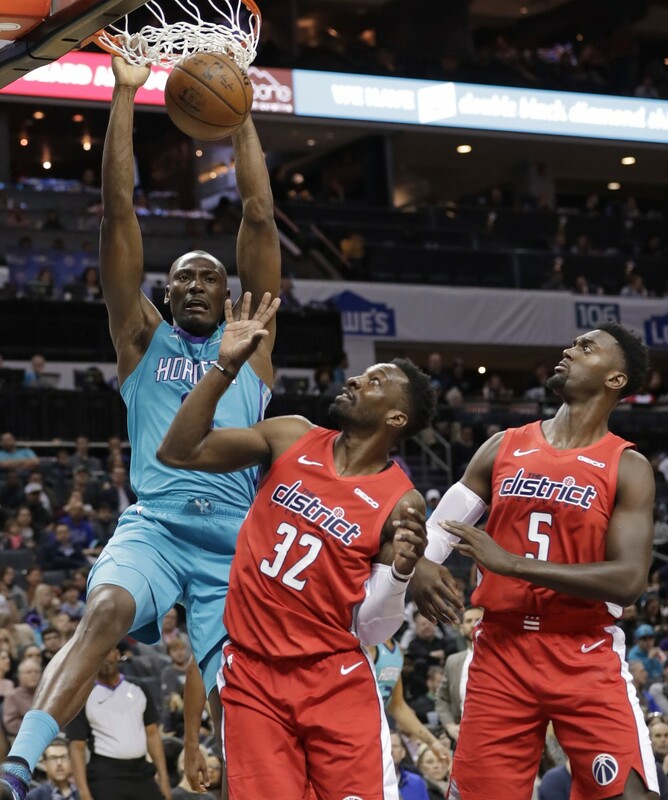 Zeller swatted Thomas Bryant's shot in the paint twice, then raced down court to score a layup in transition to give the Hornets their first double-digit lead at 78-67. Zeller finished with 11 points and nine rebounds. Wizards: Beal had 20 points in the first half on 8-of-12 shooting. ... Turned the ball over on three straight possessions at midcourt in the second quarter on poor passes. 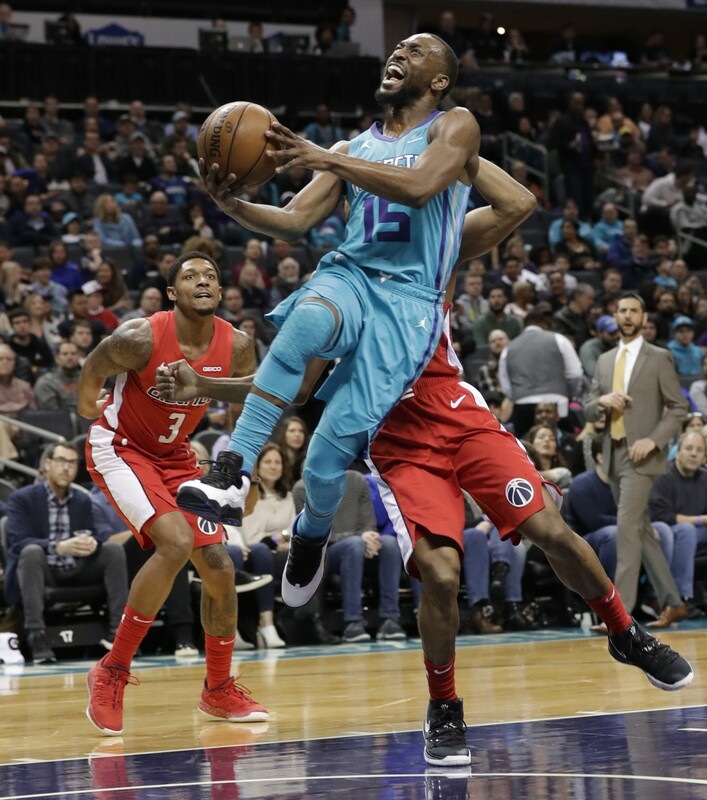 Hornets: Outrebounded the Wizards 53-43. Wizards: Host Pacers on Saturday night. Hornets: Host Nets on Saturday night.